Storing GnuPG content of any kind (that is, plain text to be encrypted, encrypted text to be decrypted, even public keys from co-respondents) on disk can result in the same kind of vulnerabilities associated with storing any sensitive data on disk. The existence of files containing encrypted data might be considered incriminating, depending on who finds those files; leaving files with plaintext output from decrypted messages may (obviously) compromise that plaintext if an attacker has access to the system. If such files are deleted, delete them securely or else they can be recovered almost as easily if they were not deleted at all. 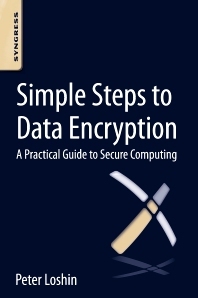 Sometimes it’s best to encrypt a quick message by typing text at the command line, and having GnuPG output ASCII armored text that can be cut and pasted into a message, bypassing the need to store sensitive data–encrypted or not–permanently on disk. The first part (echo "secret message for Peter") simply repeats the string “secret message for Peter”; the echo command can be used also to list a file to screen. In this case, the output from the echo command is piped to another command, using the | character (vertical bar). The command being fed the string should look familiar; GPG will encrypt the string to the public key associated with “Peter Loshin”, without the GPG software version information, as ASCII armored output. WARNING: One of the benefits of using the command line is that commands are stored in RAM, and at the end of a session the command history is written to a history file. This is a benefit because it lets the user review, edit and resubmit commands. Of course, if the point of using the command line is to avoid writing sensitive data, it is important that the commands used are not stored in the history file. See Managing shell command history in OS X/Linux. This block of text can now be printed, copied into a web forum, instant message, email message, or stored on removable media. One of the many benefits of using the command line shell in OS X or Linux (or any *nix or similar OS) is that the operating system keeps a history of all the commands you use, storing them in a dot file. These dot files are also known as hidden files, because they are usually hidden when you look at a listing of the directory (or folder, in the GUI). 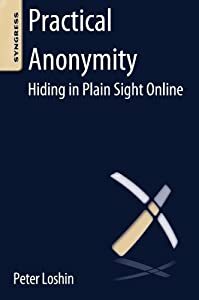 There are tens of millions of pages of content on the web that address encryption or cryptography; that means two things: first, there is no shortage of good content explaining what encryption and cryptography are; second, there is also no shortage of not-so-good content that can be confusing at best, if not misleading or outright wrong and harmful at worst. As with any specialty, one must consider the source before deciding whether the content is actually worthy of consideration. Reputation is crucial, especially when the information being provided will be used for security purposes. Bruce Schneier is the internationally-renowned security technologist and author, and the author of Applied Cryptography: Protocols, Algorithms, and Source Code in C, Second Edition , for almost 20 years the canonical resource for programmers who need to implement cryptographic functions. Schneier’s personal blog is an excellent source for current and correct discussion of cryptography and security issues. Philip Zimmermann is the creator of PGP (Pretty Good Privacy), first published on the Internet in 1991, and the inspiration for the now standard Gnu Privacy Guard (GPG) encryption tool. Zimmermann’s crypto bibliography page is an excellent resource for learning more about cryptography as well as for links to reputable crpytography resources. Gary Kessler’s An Overview of Cryptography is a comprehensive discussion of what modern cryptography is, what it’s for, and what tools are currently available. HTTPS stands for “Hypertext Transfer Protocol Secure”. The protocol itself is the same as HTTP, but when a web resource is accessed via an HTTPS link the web client and web server negotiate a layer of encryption, with the goal of encrypting the web session (to protect that data from eavesdropping) and authenticating the web server (to prevent the user from man-in-the-middle attacks). HTTPS Everywhere is a browser plugin (currently for Firefox and Chrome, though ports for other browsers may be available in the future) that forces “ordinary” web browsing sessions to use the HTTP Secure protocol to encrypt web traffic between the user and the server. HTTPS can reduce the risk of man-in-the-middle attacks while using popular websites. HTTPS Everywhere protects against man-in-the-middle attacks, and it can encrypt the content being sent to and from your browser. It can protect that data from being detected by eavesdroppers, but they will still be able to see what website you are accessing, and if the website includes HTTP data (that is not encrypted) it may give an eavesdropper enough information to infer what your encrypted data is. Steven Bellovin is now Chief Technologist of the Federal Trade Commission, and he opened his tenure with an excellent blog entry about passwords: Password Compromises, a follow up to one of former Chief Technologist Ed Felton’s last blog posts in that position, The Problem with Passwords. Felten’s gist: passwords are tough to do right, need to be protected, and though we’ve been working on trying to fix them for a long time they’re still better than the alternatives. Meanwhile, use a two-factor authentication method wherever possible. Bellovin’s gist: here are some suggestions for doing passwords correctly and securely, because these are some of the ways that your passwords can be attacked. Oh, and use a two-factor authentication method wherever possible. As a counter-point, consider Which Password Manager Is The Most Secure?. Decent overview of the issues with passwords and password managers, but the first comment points out that if you use a proprietary web service, then you’re at the mercy of that service (e.g., if it goes out of business, you are kind of screwed). This of course goes for any proprietary solution of any kind, but it is a particularly bad outlook for this application (storing passwords), considering the implications of losing access to all one’s passwords.